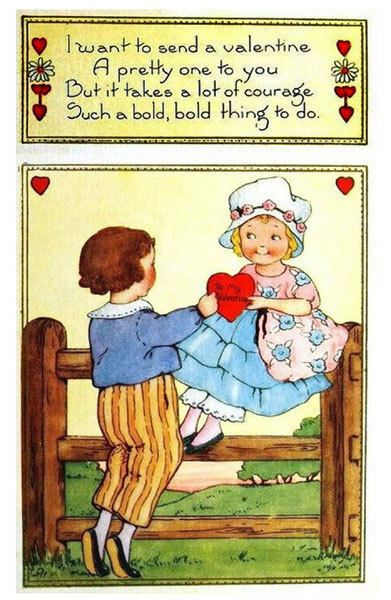 These Vintage Valentine printables would be great for kids to give to an older generation, parents, grandparents, aunties etc. 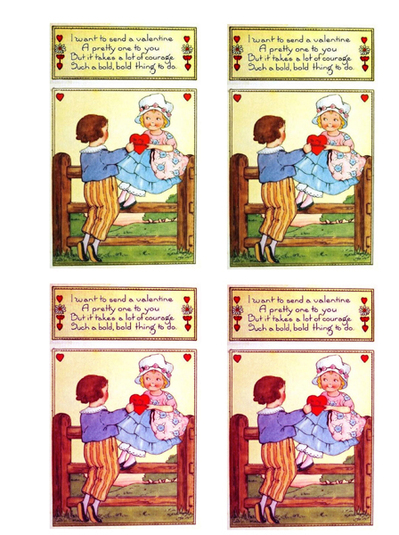 Use these printouts to make regular folded cards or postcards. Just trim and glue to your cardstock. 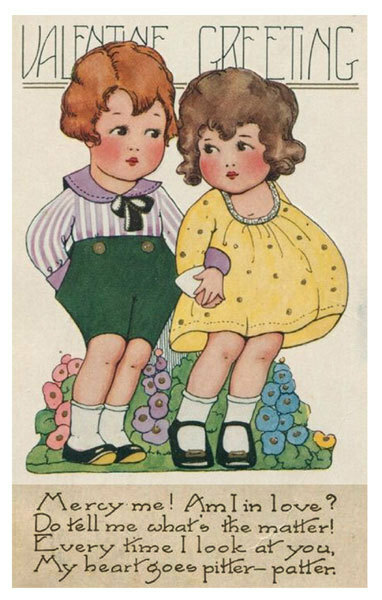 Add a message in the center of the regular card or on the back of the postcard. 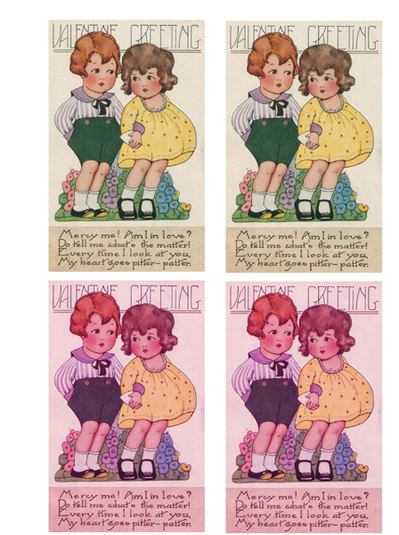 Get more Vintage Valentine printables.